Lieutenant Jose Valentin, who oversees The Salvation Army Metro Atlanta Area Command’s Cobb/Douglas County Corps, recently spoke to The War Cry about the event that changed his life—and brought him closer to God. ARLINGTON, TX (December 19, 2016) – Ezekiel Elliott won’t soon forget his franchise-record-setting 13th rushing touchdown of his rookie season. The Dallas Cowboys running back celebrated by jumping into an oversized Salvation Army red kettle in the end zone during the Cowboys’ 26-20 win over the Tampa Bay Buccaneers, quickly hiding from everybody before popping out. After conferring, the officials threw a flag for unsportsmanlike conduct, so Elliott didn’t hide that much. But the NFL announced Monday morning that Elliott would not be fined for the celebration. If the Cowboys were upset with the penalty, they didn’t show it. Management allowed the celebration to be shown on the center-hung digital board before the ensuing kickoff. They were made even happier after the Buccaneers’ next drive started at their 22 and the Dallas defense forced the Bucs into a three-and-out. Cowboys owner Jerry Jones also seemed fine with the rookie rusher’s celebration. “Well, he shouldn’t have done it. I thought it was creative, but he shouldn’t have done it,” Garrett said. “You know that’s how the league is going to rule on those things. ATLANTA, GA (November 23, 2016) – Georgia Power is inviting customers to join the company and The Salvation Army to make a difference this holiday season through the longstanding Project SHARE initiative. Project SHARE, established in partnership with The Salvation Army in 1985, was one of the first fuel funds in America and provides assistance for expenses, such as utility bills, housing, food and medical necessities. By donating as little as a dollar through their Georgia Power bill payment, customers can provide meaningful, localized assistance for a neighbor in need with donated funds staying in the same community. More than one million Georgians have received assistance from the program over the past 30 years. Since Project SHARE’s inception, approximately 363,000 households throughout the state have received assistance with more than $67 million contributed to the program by Georgia Power and its customers. Last year, more than 36,000 Georgia Power customers donated to the program leading to a total contribution, including Georgia Power’s match, of more than $2.3 million. Although Georgia Power’s support of the program continues throughout the year, the company highlights the work of Project SHARE annually on December and January Georgia Power bills. By enrolling in the program, customers have the option to make an automatic monthly donation of $1, $2, $5 or $10 simply by adding the amount to their bill payment. Georgia Power then matches the donation, dollar for dollar. Georgians can also make a one-time donation directly to Project SHARE through The Salvation Army by calling (800) 257-4273 or visiting www.salvationarmygeorgia.org. To learn more about Project SHARE, or to support the program with Georgia Power today, visit www.georgiapower.com/projectshare. Georgia Power is the largest subsidiary of Southern Company (NYSE: SO), America’s premier energy company. Value, Reliability, Customer Service and Stewardship are the cornerstones of the company’s promise to 2.5 million customers in all but four of Georgia’s 159 counties. Committed to delivering clean, safe, reliable and affordable energy at rates below the national average, Georgia Power maintains a diverse, innovative generation mix that includes nuclear, 21st century coal and natural gas, as well as renewables such as solar, hydroelectric and wind. Georgia Power focuses on delivering world-class service to its customers every day and the company is consistently recognized by J.D. Power and Associates as an industry leader in customer satisfaction. For more information, visit www.GeorgiaPower.com and connect with the company on Facebook (Facebook.com/GeorgiaPower) and Twitter (Twitter.com/GeorgiaPower). MARIETTA, GA (November 10, 2016) – It’s as much a part of the holiday season as trimming the tree, wrapping gifts and sitting on Santa’s lap. The Salvation Army Red Kettle fundraiser relies on those hustling and bustling in and out of stores at Christmastime to drop a few coins in the bucket and make Christmas merrier for the less fortunate. The Cobb County version of the drive kicks off at 11 a.m. Saturday on Marietta Square. The special event heralds the launch of the annual drive that this year has a goal of $300,000. Last year, kettle collections topped $260,000. The SA has planned a jam-packed hour Saturday designed to entertain and inspire. There’s nothing wrong with getting some holiday spirit — even if it is a couple weeks before Thanksgiving. Here’s some of what the audience can expect: Welcome by David Nutt, chair, Salvation Army Advisory Board. Emcee will be Donna Lowry, former Atlanta TV education reporter and now Cobb Schools communications director. Marietta High School ROTC will present the colors, Cobb County District Attorney Vic Reynolds will serve as the 2016 Red Kettle honorary chairperson. Music intersperses the agenda with performances by the Strand Theatre, Whitefield Academy Performing Arts department, Big Chicken Chorus and the Salvation Army Brass Quintet. Kiwanis Club of Marietta Justin O’Dell and East Cobb Rotary President Sam Pierce will be there, as will Cobb County Commission Chairman Tim Lee. Atlanta, GA (July 11, 2016)– Starbucks and The Salvation Army in Metro Atlanta are partnering to help provide local students with much needed school supplies during their 2016 “Back 2 School Supply Drive” campaign. 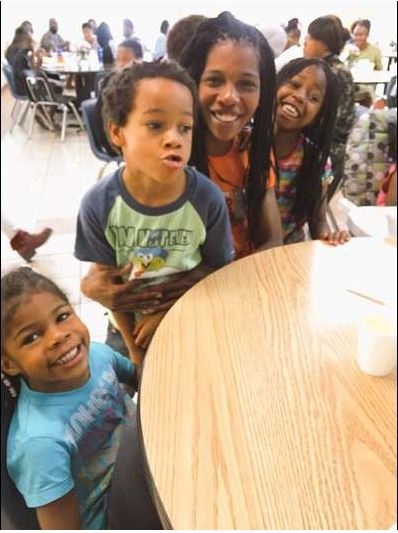 The campaign will serve families in need by helping kids from across Atlanta gear up for a successful academic year while also easing the high cost of school supplies for parents. Supporters are asked to help by dropping off new school supplies including backpacks, notebooks, binders, pens, pencils, scissors, crayons, markers, glue, rulers and hand sanitizer at a participating Atlanta area Starbucks location through July 29. 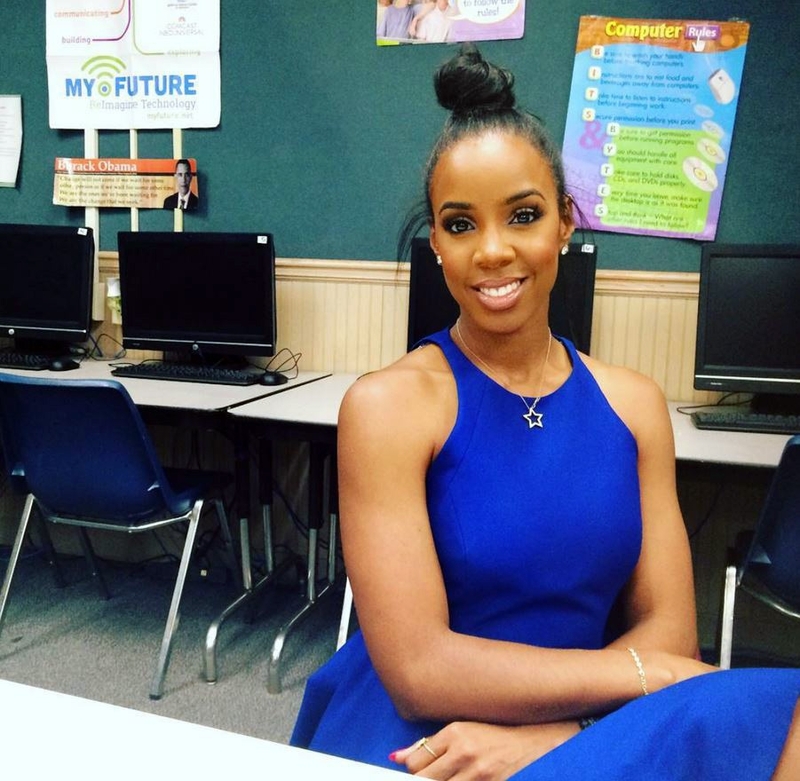 Singer and actress Kelly Rowland has teamed up with Claritin on a tour of Boys & Girls Clubs locations in various cities, and made a homecoming stop at the Salvation Army Bellwood Boys and Girls Club on Donald Lee Hollowell Parkway in Atlanta.